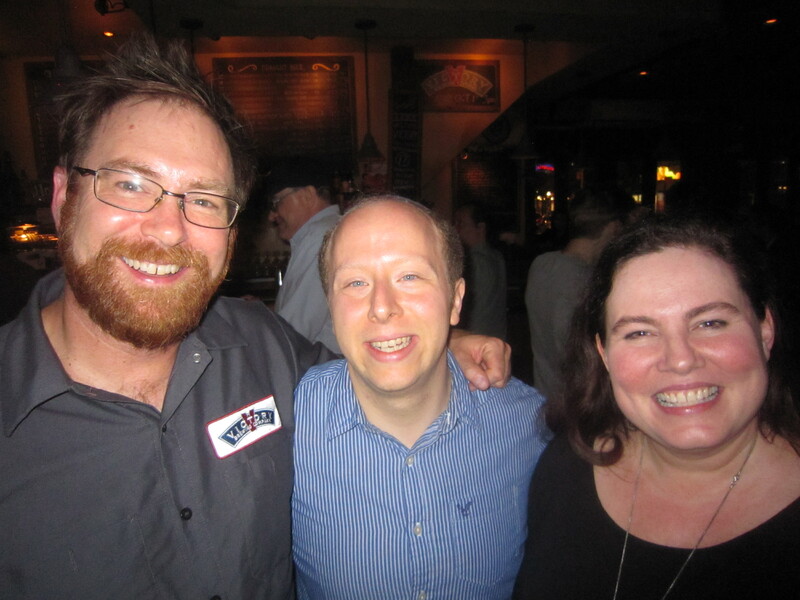 On Wednesday, October 1, 2014 I headed downtown for yet another great brewery tap takeover event at Blind Tiger Ale House this time featuring Victory Brewing Company and 17 of its beers on tap. While there I had the chance to step outside with Victory’s brewmaster and co-founder Bill Covaleski to chat about the recent expansions of his company (new Parkesburg brewery), his experiences with Sierra Nevada’s Beer Camp Across America, and his views on the current growth of craft beer in the US (full list of topics covered below). Enjoy and Cheers! Note: While I did record separate audio for this interview, my recorder (old mp3 player) ran out of memory space a few minutes into the interview and I was therefore unable to edit together a podcast version of it. Victory’s new Parkesburg, PA brewery and its modern / innovative brewhouse. How brewing is split between there and Downingtown. Limited release beers being brewed in Downingtown – D’Town and Hop Ticket series. Increased capacity brings old beers back and popular beers into the market more regularly. Victory’s barrel program – past and upcoming beers. E.g. White Monkey and their upcoming release of Earth and Flame, a barrel aged scotch ale brewed in collaboration with Earth Bread & Brewery. Bill / Victory’s experiences being one of the 12 breweries chosen for Sierra Nevada’s Beer Camp Across America 12 collaboration beers. The current growth of craft beer in the US. What’s coming up for Victory Brewing Company. Where you can find Victory beers. Please see my previous post for my thoughts on the beers that I tried at this event. This entry was posted in Brewmaster Interviews, Uncategorized and tagged barrel aged beer, Beer Camp Across America, Bill Covaleski, Blind Tiger Ale House, Earth Bread and Brewery, victory brewing company, Victory Earth and Flame, white monkey. Bookmark the permalink.